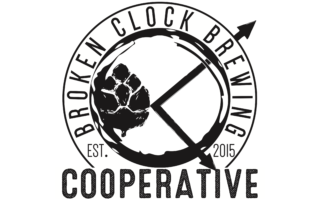 At Broken Clock Brewing, we believe that being a brew cooperative is bigger than just brewing great beer. We aspire to make a difference by empowering people, inspiring passion, and fostering collaboration in our community. Being a cooperative means that we put the needs of the community ahead of the bottom line. We are a completely member-owned and operated cooperative democratically run by local Minnesota residents. Our members share the common vision of making this venture a meaningful and exciting experience for all members of the Twin Cities community. Every member of Broken Clock Brewing is more than just a shareholder, they are an integral part of our community of change.